verdigris hall*: Get Your Free On! How would you like a gloriously free printable (for personal use) that can be used for Project Life, scrapbooking layouts, cards, gifts or whatever other crafty goodness you can dream up? Today marks the debut of Winnie & Walter to the world even if it is a tiny debut! 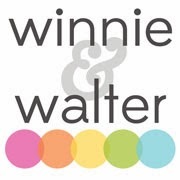 Winnie & Walter will be a small online boutique offering products designed by my talented friend Julie Mogford and I. We are offering up a free printable (for personal use) on our blogs along with a little inspiration on how we used it. This is to be the first of many printables in the future. 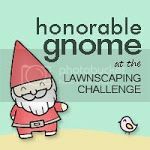 We have a whole lot of goodness coming soon so to keep in the loop about Winnie & Walter, please follow this blog and/or Julie's blog! Like us on Facebook to receive the Live Laugh Love printable for FREE (personal use only)! Today is actually my grandfather's 90th birthday. For the occasion I made this card to celebrate such a momentous occasion. 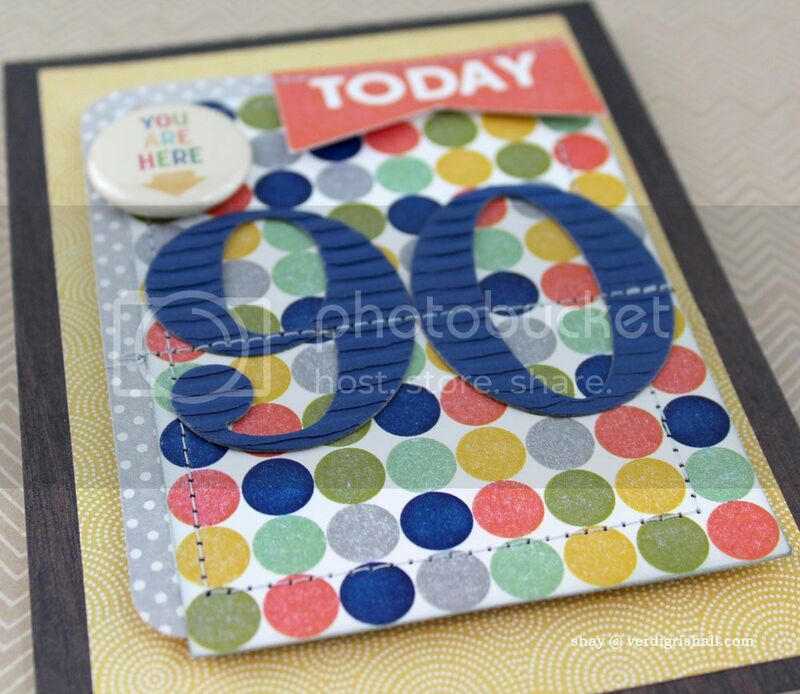 I used the dot journaling card and today banner from the Live Laugh Love printable with the Spencer's Card Kit, grey polka dot journaling card from the Clementine Core Kit and a 4x6 woodgrain journaling card by Studio Calico along with number dies from Papertrey Ink. I pulled out the sewing machine and went to town. The last element was a tin pin from October Afternoon. 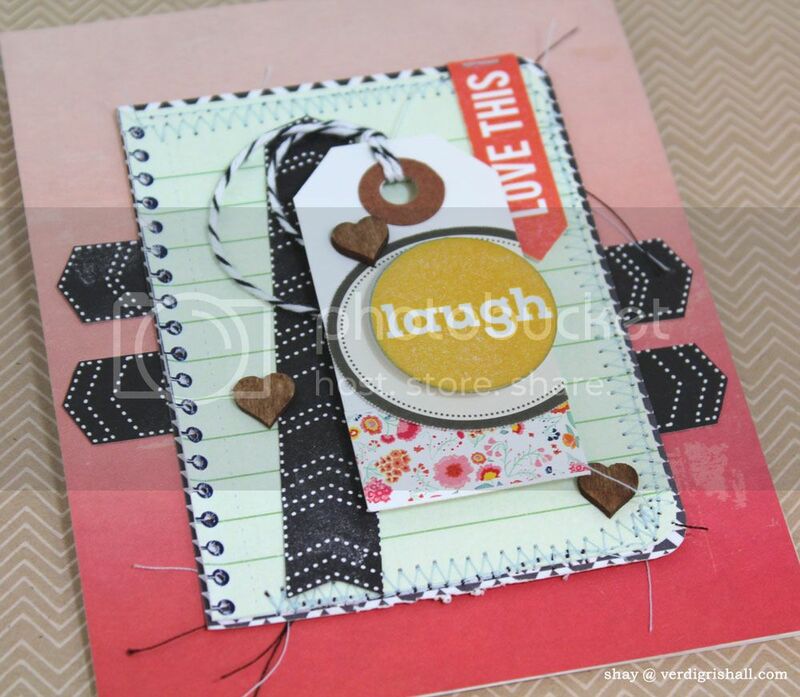 This card features the burst journaling card from Live Laugh Love. 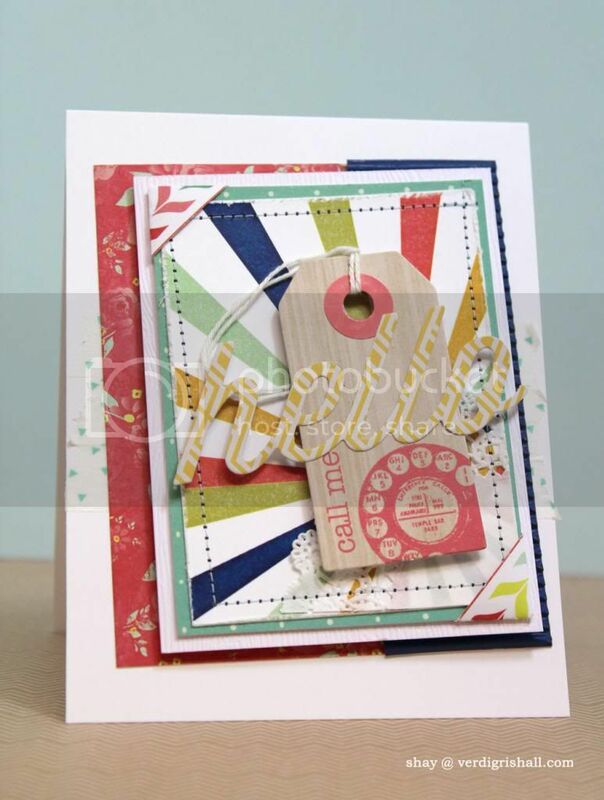 It is a mix of things from Studio Calico (like the tag from Spencer's Card Kit and the journaling card under the burst journaling card) along with patterned paper from the 6x6 paper pad from the brand new Finnley collection by Glitz Design. 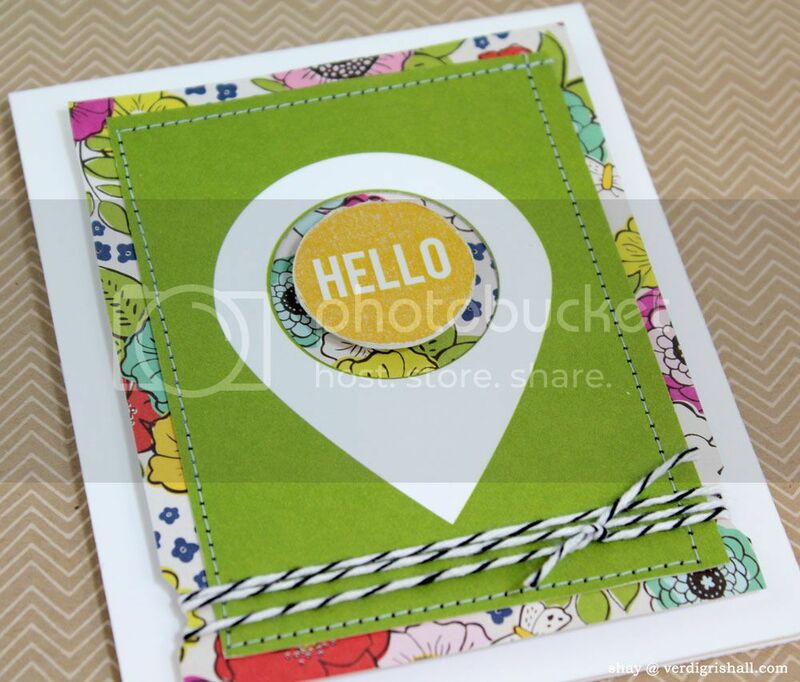 I found this collection really fun to play with along with the printables. 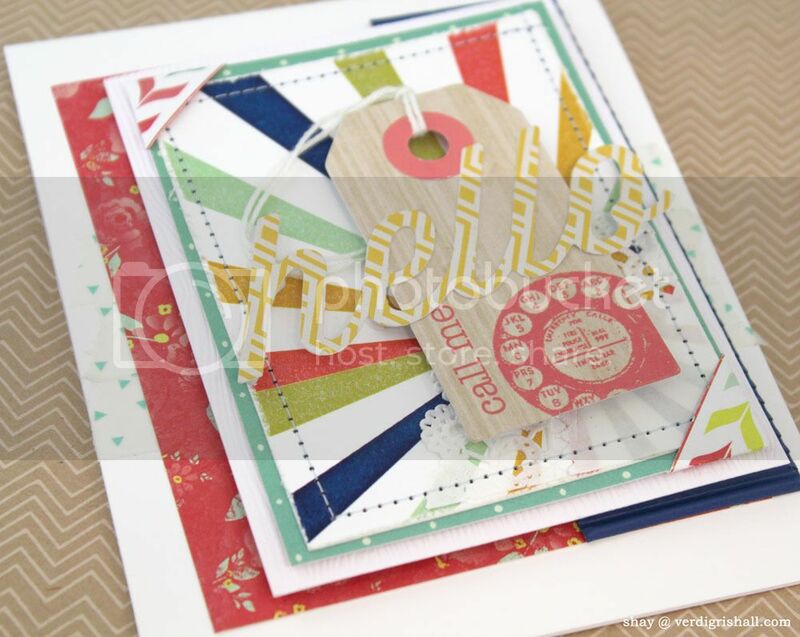 I also used the happy die from Papertrey Ink which I cut from the Soho Garden 6x6 paper pad. 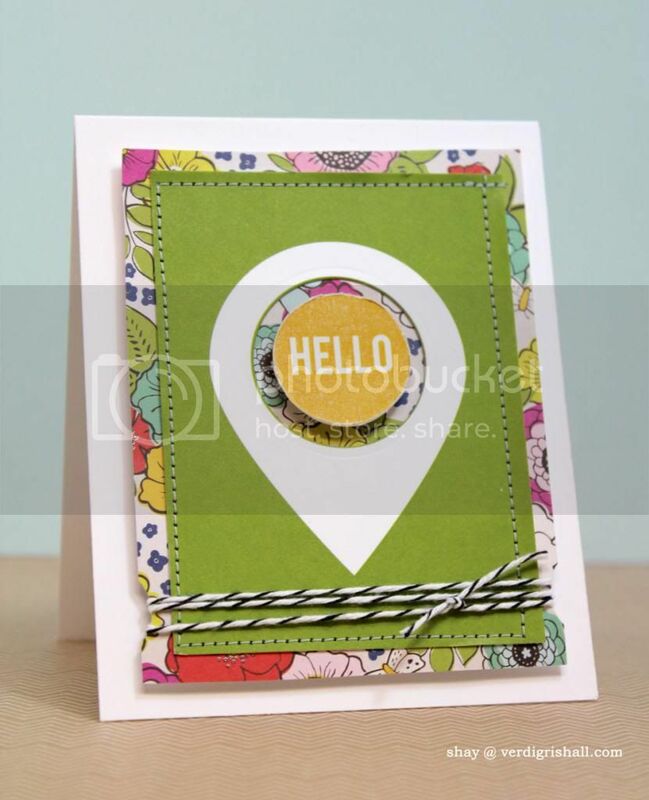 This card highlights the hello circle which I cut from the burst journaling card of the Live Laugh Love printable from Card No. 2 (I oh so cleverly covered up that section so you can't tell there is a hole where the hello circle should be). I added it to a geotag journaling card from Studio Calico and a fun and funky piece of patterned paper from the Soho Garden 6x6 paper pad. I notched the panel with a circle punch and added some ever useful black and white twine. The notebook journaling card was the beginning piece of this card (I punched a hole through each of the navy circles and cut along the lines to give the notebook edge a bit more interest) which I built upon using other bits from the Live Laugh Love printable along with a journaling card from Studio Calico I cut up into arrows. I added a sticker from Dear Lizzy's Lucky Charm Accent & Phrase Sticker onto the tag along with a tag from Anna Griffin under the laugh printable. The patterned paper is again from the Finnley 6x6 paper pad. The last touch were wood veneer hearts by Studio Calico. I tried to put quite a few of the elements from the Live Laugh Love printable on this one. 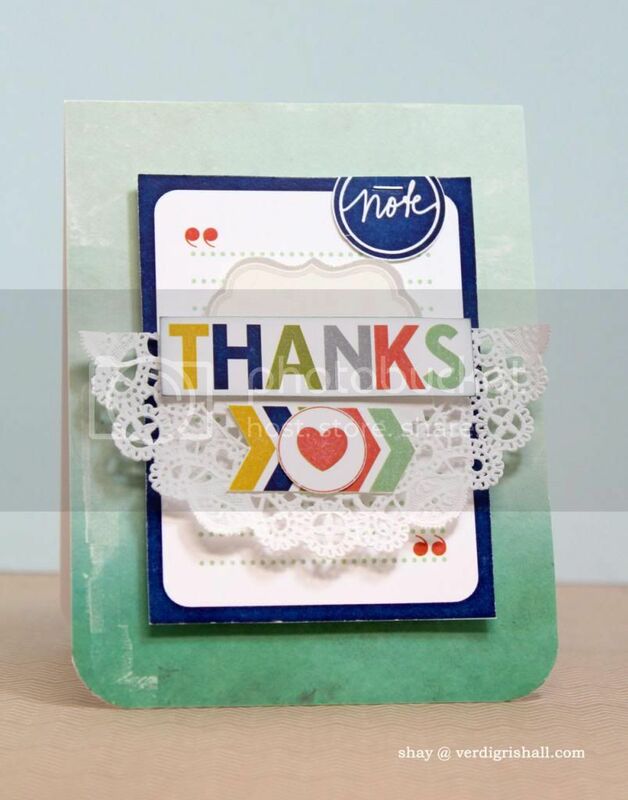 The only elements not from the printable are the grey label from Anna Griffin, doily and the ombre patterned paper also from the Finnley 6x6 paper pad. 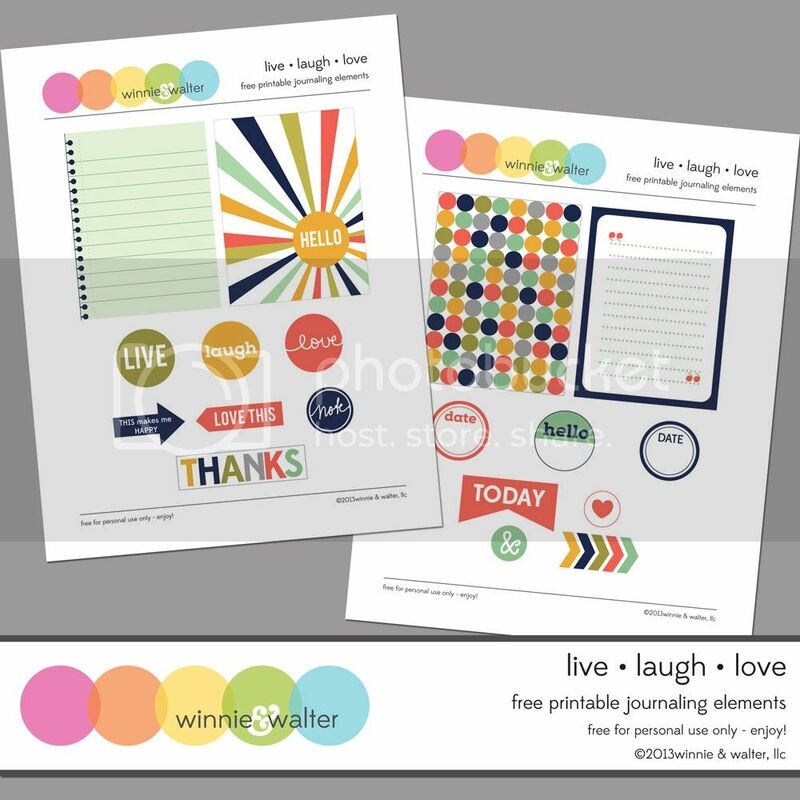 There you have my offerings to inspire you with the new and free Live Laugh Love printable. 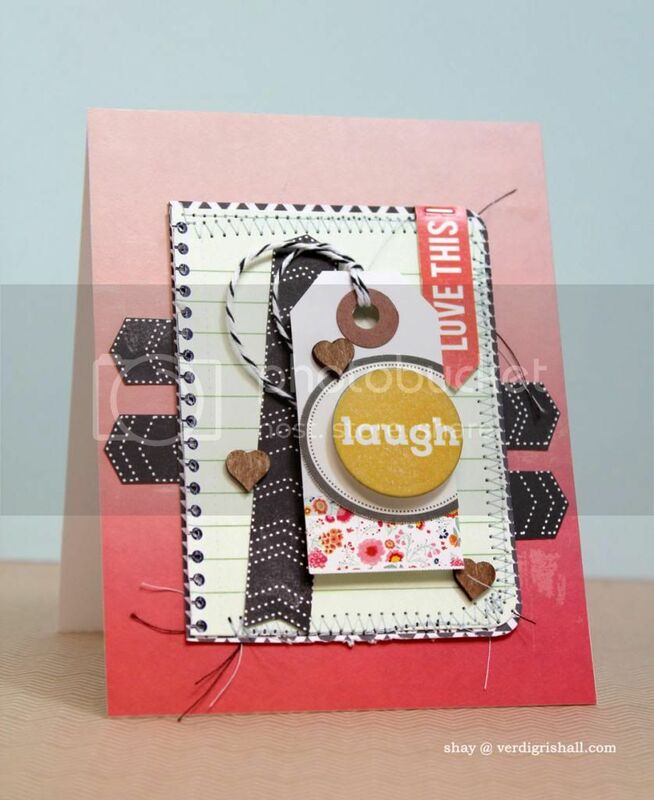 Make sure to download it and head on over to Julie's blog to see what she has done with the Live Laugh Love printable. We would be over the moon to see how you used them so feel free to comment with a link! 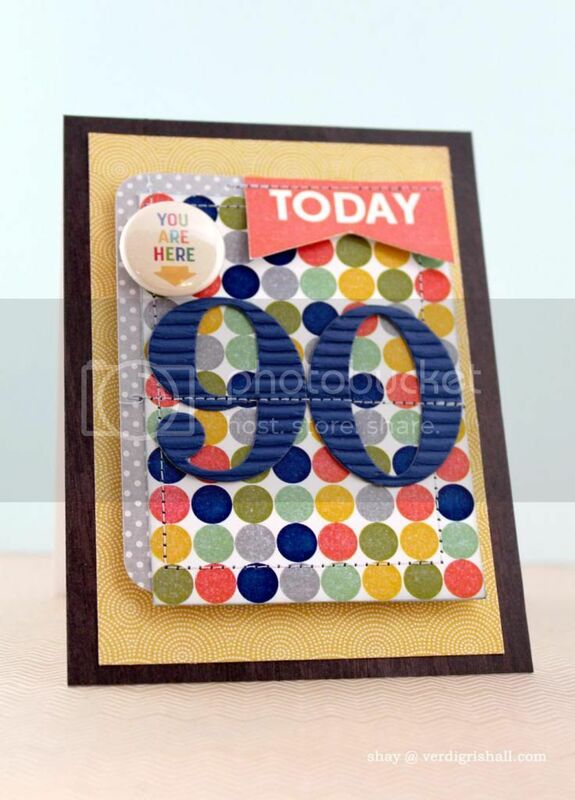 How fun and your cards are fabulous! Love the freebie! Thanks for sharing! Best wishes on your new venture, Shay & Julie! and thanks for the free download. And forgot to say--your cards are wonderful!